LeBron James' revival of the Los Angeles Lakers has notched another milestone moment as the four-time NBA MVP combined with Lonzo Ball to rout the Charlotte Hornets. 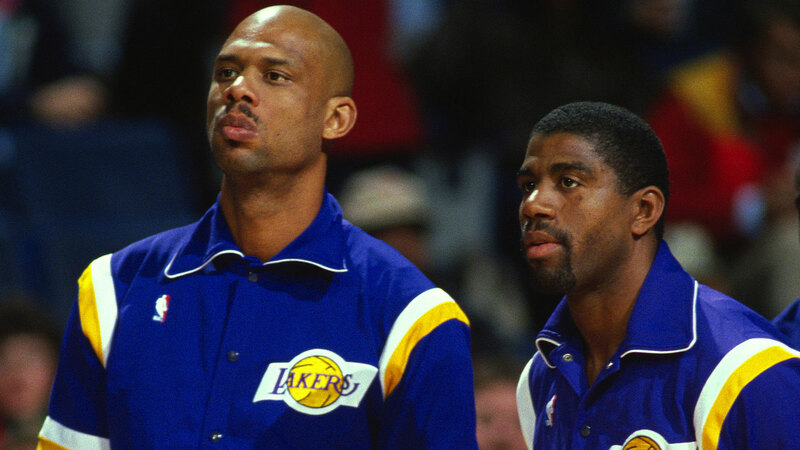 The pair gave the storied franchise multiple triple-doubles in a game for only the second time, matching a feat achieved by greats Magic Johnson and Kareem Abdul-Jabbar in January 1982. James had 24 points, 12 rebounds and 11 assists, while Ball had 16 points, 10 rebounds and 10 assists in a 128-100 win in Charlotte on Saturday night. It was the Lakers' (18-11) third win in their past four games and the heaviest defeat of the season for the Hornets (14-15). After struggling in recent seasons, the Lakers are riding high in fourth place in the western conference, behind only the Denver Nuggets, Golden State Warriors and Oklahoma City Thunder following the arrival of James this season. The crowd of 19,461 fans was the largest to see an NBA game at Charlotte's Spectrum Center. James continued his personal dominance over Charlotte, improving to 27-1 in his last 28 games, and he did not play the fourth quarter after the Lakers built a 30-point lead. It was James's second triple-double of the season and 75th of his career while Ball had his third career triple-double. Miles Bridges had a career-high 17 points for the Hornets but their biggest star, Kemba Walker, was held to a season-low four points on 2-of-13 shooting from the field. 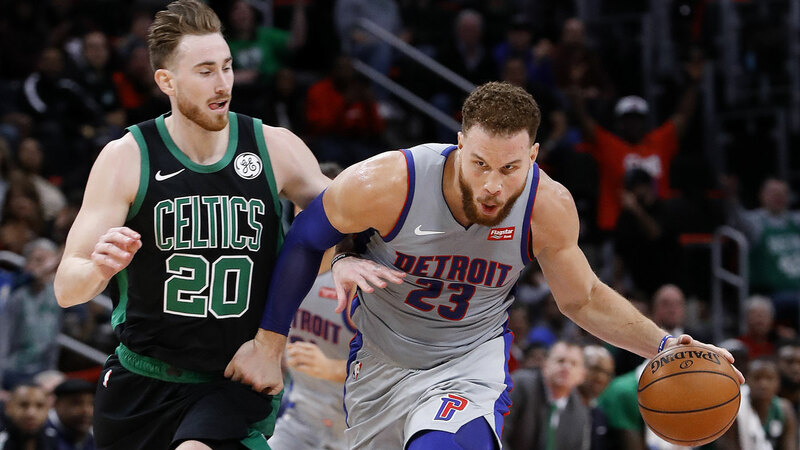 In Detroit, Blake Griffin scored 27 points and Andre Drummond added 19 points and 20 rebounds to help the Pistons beat Boston 113-104 and snap the Celtics' eight-game winning streak. The Pistons won for the first time in seven games to be 14-13. Kyrie Irving led Boston (18-11) with 26 points while Australian centre Aron Baynes had 10 points in 18 minutes. Utah Jazz's shooting woes proved decisive in their 96-89 loss to the Orlando Magic (14-15) in Mexico. Australian duo Joe Ingles and Dante Exum combined for just 10 points as the Jazz (14-16) shot at just 31.5 per cent from the field to slump to 14-16. Ingles was two of 11 for eight points, making two of six three-point attempts. In San Antonio, Patty Mills mustered only three points with four assists in 25 minutes off the bench as the Spurs (15-15) lost 98-93 to the Chicago Bulls (7-23). Kris Dunn scored 24 points and Lauri Markkanen added 23 for the Bulls while LaMarcus Aldridge had 29 points and 12 rebounds for San Antonio, who dominated the first half. In Oklahoma, the Thunder (18-10) notched a 110-104 win over the LA Clippers (17-12) as Paul George top-scored with 33 points and Russell Westbrook had 13 points, 12 assists, nine rebounds and six steals for the hosts. In Memphis, James Harden had 32 points, 12 rebounds and 10 assists for his second consecutive triple-double as he led the Houston Rockets (14-14) to a 105-97 win over the Grizzlies (16-13). In Phoenix, the Suns won consecutive games for the first time this season when they downed the Minnesota Timberwolves 107-99. Phoenix went into the game with a league-low five wins but were boosted by the return of star Devin Booker, who missed the previous six games with a hamstring injury. Booker led the Suns with 28 points and also recorded seven rebounds and seven assists.